Novatel Wireless today announced plans to divest its mobile broadband business. The company has agreed to sell its MiFi branded hotspots and USB modem product lines to Hong Kong-based TCL Industries Holdings for $50 million in cash. Novatel was an early player in mobile internet products and provided modems for the Palm Pilot and other fledgling smartphones. The company later branched out into USB- and WiFi-based mobile hotspots. Novatel said it wants to focus on generating recurring revenue IoT solutions, rather than hardware sales. Some of its IoT business lines include Ctrack telematics, fleet management, asset tracking and monitoring, and Feeney Wireless business connectivity solutions. The deal is subject to customary closing conditions, but the firms expect to complete the transaction during the first quarter of 2017. Digital Technology Licensing today said that Sprint Nextel, Kyocera, Sanyo, and Palm have all settled a patent infringement lawsuit over a cell phone patent owned by Digital Technology. The patent in question refers to how cell phones talk to base stations, as well as some Bluetooth functionality. All four companies have agreed to license the technology from Digital Technology for undisclosed sums. Digital Technology Licensing originally filed the lawsuit in 2007. HTC has filed another lawsuit against Apple, this time regarding nine patents it acquired from Google as recently as last week, reports Bloomberg. The patents originally belonged to Palm, Motorola, and Openwave, and came into Google's ownership in the last 12 months. The patents were transferred from Google to HTC on September 1. The lawsuit, which was filed in federal court in Delaware, says Apple is in violation of the patents. HTC also filed a complaint with the U.S. International Trade Commission. The details of the patents in question weren't immediately provided. 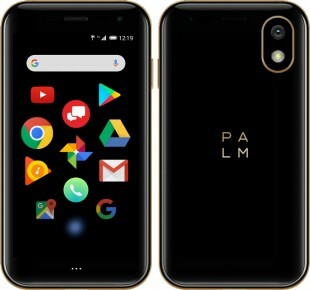 Speaking today at the AllThingsD conference, HP CEO Leo Apetheker said that the company is open to licensing webOS, which it acquired when it purchased Palm in July 2010. Apotheker said, "WebOS will also be adopted by many partners who provide services to small and medium businesses. Traditionally HP has a strong channel into medium companies. … I happen to believe that WebOS is a uniquely outstanding operating system. It's not correct to believe that it should only be on HP devices. There are all kinds of other people who want to make whatever kind of hardware they make and would like to connect them to the Internet. We'll make it available to enterprises and to SMBs. It will run on lots of HP devices." Apotheker also noted that the company believes webOS can become the number three smartphone platform, behind Google's Android and Apple's iOS. The company plans to install webOS on its PCs, laptops, and other devices. Apotheker hinted that HP is also prepared to unleash new smartphones with webOS on board. Its most recent phone, the Veer 4G, is available from AT&T. 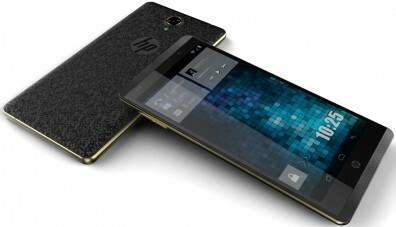 The FCC today approved a new smartphone from HP that perfectly matches the specs of the previously-announced Pre 3. FCC documents show that the CDMA version of the phone will also include quad-band GSM and WCDMA 900 / 2100 radios for roaming in Europe. This global roaming feature was not previously announced by HP / Palm. AT&T today announced that it will offer the HP Veer 4G starting on May 15. The Veer is the smallest webOS smartphone from HP (Palm) to date, touted as being the size of a credit card and no thicker than a deck of cards. The Veer 4G sports "4G" speeds of up to 14.4 Mbps down and 5.76 Mbps up. The phone will be an AT&T exclusive in the US, and will be available in both black and white. The price will be $99 with two-year contract.